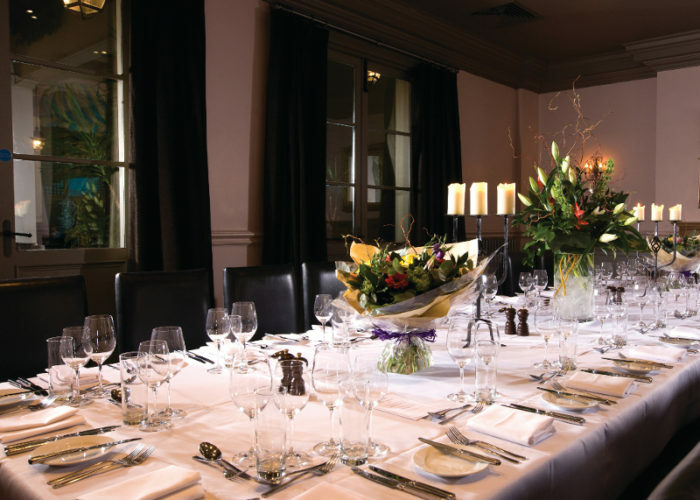 Thank you for your interest in Hotel du Vin & Bistro – Birmingham! 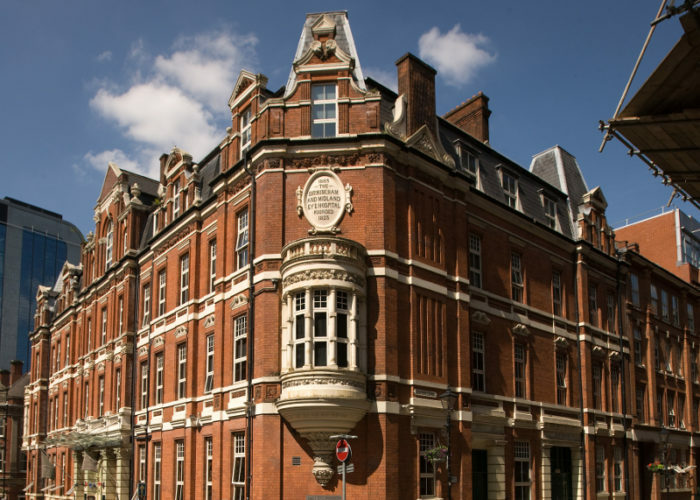 Once an eye hospital, this landmark Victorian building was built in 1884, a grand setting for one of the finest hotels in Birmingham. This is our largest hotel, with 66 bedrooms and suites around an enclosed courtyard, and bursting with original features – including a magnificent sweeping staircase framed by granite pillars. Here you’ll find a relaxing haven in the city, offering exquisite private rooms, gorgeous suites, a spa and gym, and heavenly dining. Quirky and unique private rooms vary in size and style. No two rooms are the same. 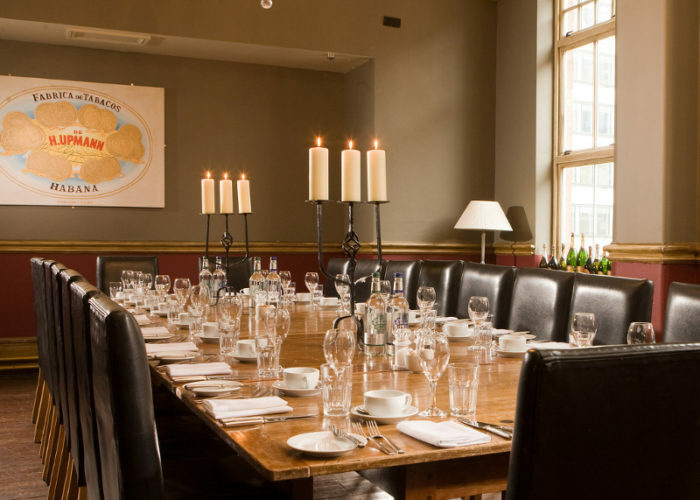 Krug is the largest: an elegant, majestic mirrored hall with plenty of natural daylight, and accommodating up 100 people. 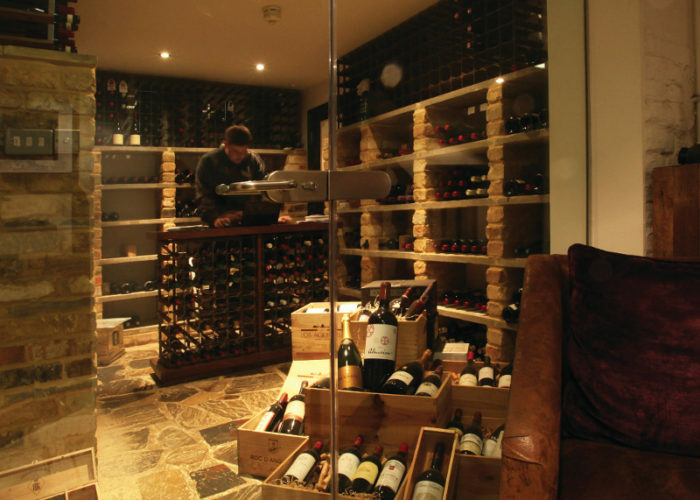 Our smaller private dining rooms include Sassicaia, Ruinart, Opus One and the Wine Cellar. These are more intimate, and both Opus One and Sassicaia open directly onto the tranquil courtyard. Sassicaia can seat 24 for dinner, and Opus One has space for 15 guests. 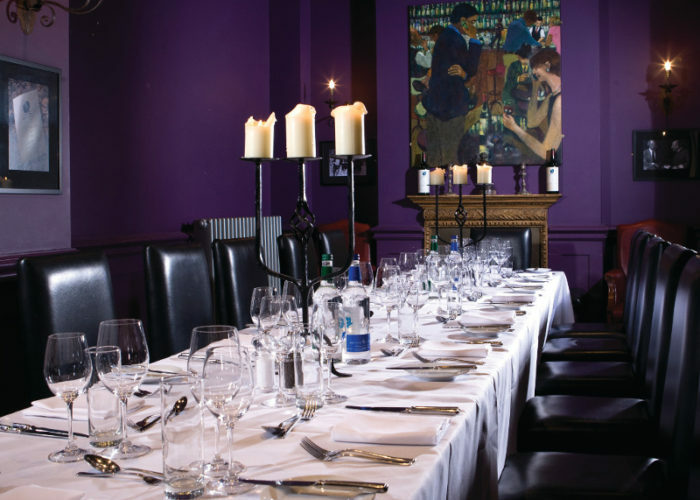 Slightly larger, Ruinart can seat up to 40 for dinner. For those who’d like to stay overnight, we offer 66 beautiful bedrooms and superb suites – all with luxurious handsprung mattresses, fine Egyptian linen, deep baths, powerful drench showers, flat screen TVs and air conditioning. 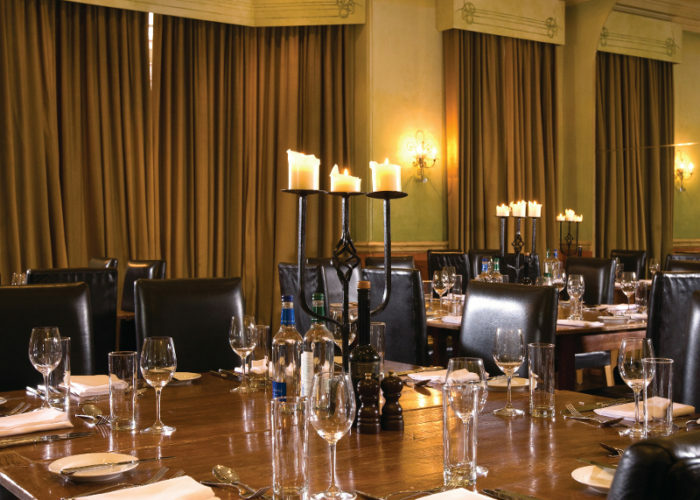 The largest of our rooms is Speyside Glenlivet, a majestic and elegant mirrored hall with an abundance of natural daylight that can accommodate up to a maximum of 100 people. Sassicaia, Opus One and Pigsty are smaller, more intimate rooms, each with their own distinctive feel and unique features. Sassicaia can accommodate a maximum of 40 people, Opus One 15 and Pigsty 12. Opus One and Sassicaia both offer direct access onto the open courtyard. If an outdoor event is what you’re looking for, the courtyard can also be for used for events in the warmer months and for that extra piece of mind it comes with a fully retractable cover for when it gets chilly.